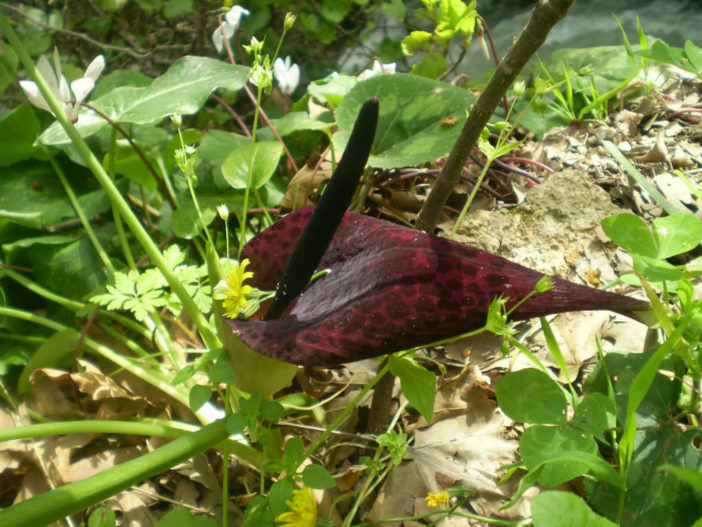 Arum dioscoridis is a perennial plant up to 1 feet (30 cm) tall. In winter appear green, arrow-shaped leaves. 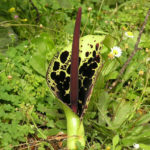 In spring, the short-stalked inflorescence appears consisting of a black, rod-shaped spadix surrounded by a yellow-green, purple-mottled brown or even purple bract. 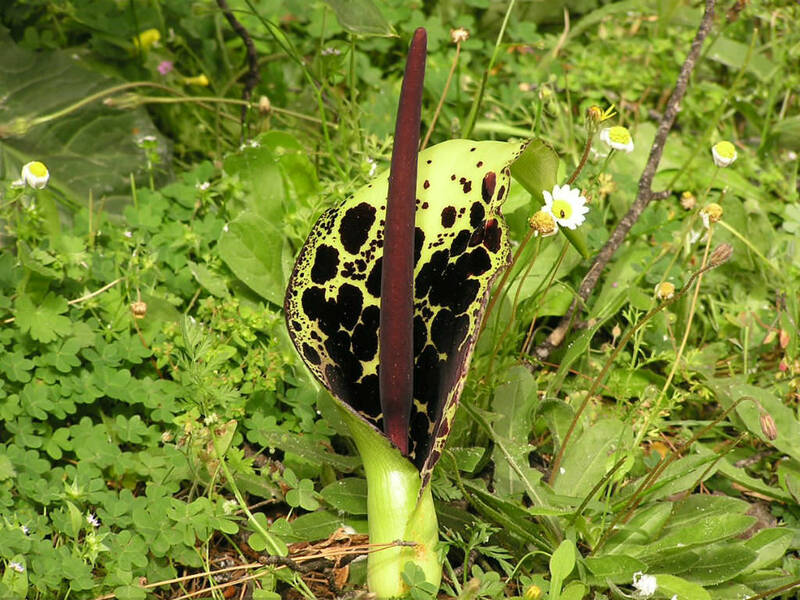 The female flowers are located at the bottom of the spadix, above are the male flowers and the top is a sterile area (appendix). 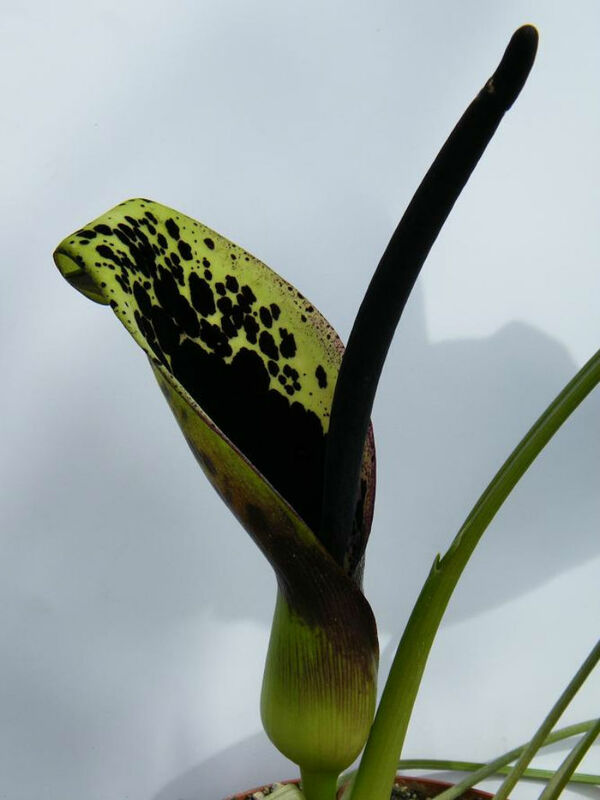 Arums are quite easy to grow. The shade/part shade species need a moist but free draining soil. Their biggest threat comes from drought. 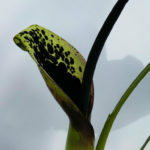 However most species are sun lovers and are grown on what is known as a “Mediterranean Cycle”, that is a warm and dry summer and a cool and wet winter. The most important thing with this latter group is drainage. Drainage should be very sharp as they will not tolerate sitting in water at all. 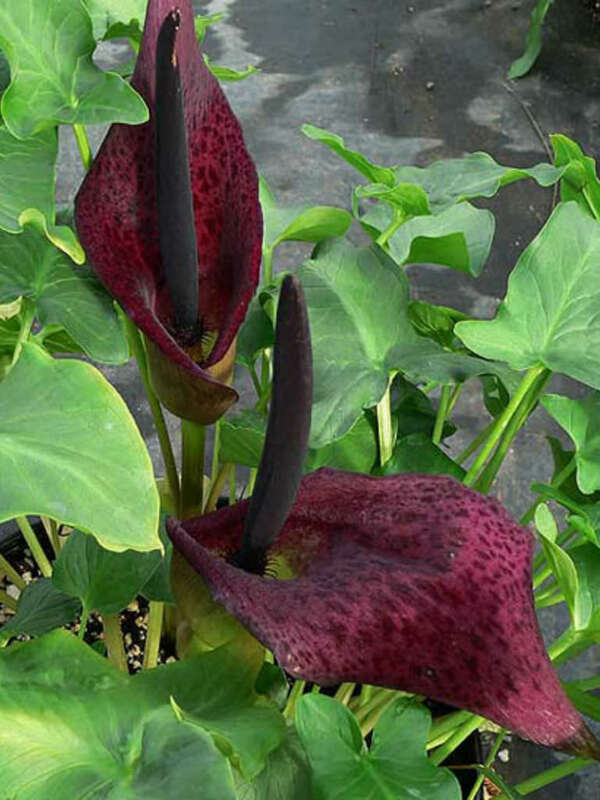 Feeding is a good idea with Arums, especially if they are in pots. Feed with a high nitrogen liquid feed once a fortnight. This will feed the leaves which in turn will feed the tuber/rhizome. 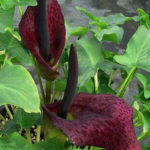 When potting up tuberous aroids, use a pot three times the diameter of the tuber… – See more at: How to Grow and Care for Arums. Native to forests in the east of the Mediterranean in southern Turkey, Cyprus, and the Middle East.